Combined heat and power (CHP) applications allow building owners to obtain both electricity and thermal energy from a single source. This approach captures thermal energy that would otherwise be wasted during the electric generation process, and uses it in the form of steam or heat to replace or reduce reliance upon other sources of heat. 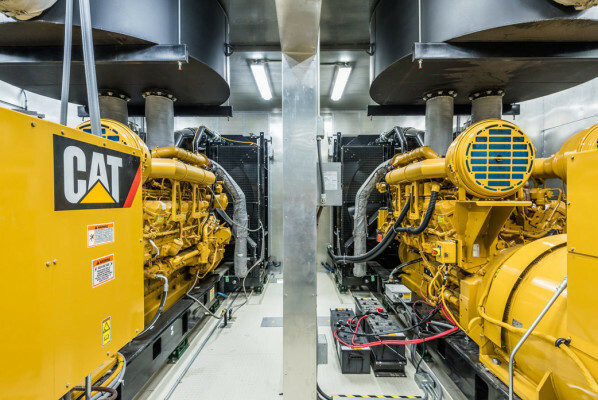 CHG offers a proven way to reduce energy costs while increasing reliability, making it ideal for building owners that must have dependable power. The building science leaders at CMTA know how to maximize the potential of energy systems to improve efficiency and reduce operating costs. Our team can draw upon a variety of equipment and manufacturers to create the configuration that best meets the specific needs of the application.